A typical morning in the Atlanta suburbs: Businessman Rusty Sneiderman drops his beloved son off at the Dunwoody Prep nursery. In the parking lot, a minivan pulls up next to his car. The driver pulls out a gun - and shoots Rusty four times in the chest. Sneiderman's devoted wife, Andrea, is devastated by the crime. Who could have done this? She is shocked when police trace the shooting to a man named Hemy Neuman - who happens to be Andrea's adoring boss. On February 29, 2000, John Price took out a restraining order against his girlfriend, Katherine Knight. Later that day, he told his coworkers she had stabbed him and that if he were ever to go missing, it was because Knight had killed him. The next day, Price didn’t show up for work. A coworker was sent to check on him. They found a bloody handprint by the front door, and they immediately contacted the police. The local police force was not prepared for the chilling scene they were about to encounter. Price’s body was found in a chair, legs crossed, with a bottle of lemonade under his arm. He’d been decapitated and skinned. 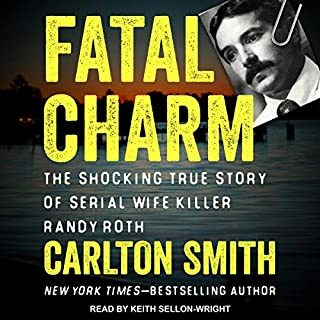 The “skin-suit” was hanging from a meat hook in the living room, and his head was found in the kitchen, in a pot of vegetables that was still warm. There were two plates on the dining table; each had the name of one of Price's children on it. She was attempting to serve his body parts to his children. Man-Eater is a dramatic and gripping account of the first women in Australia to be given a life sentence without parole and a special addendum "never to be released". Ryan Green’s riveting narrative draws the listener into the real-life horror experienced by the victim and has all the elements of a classic thriller. 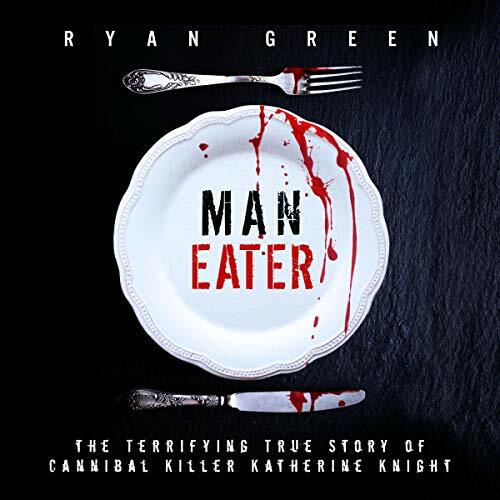 Man-Eater: Terrifying True Story of Cannibal Killer Katherine Knight was a great true crime story by Ryan Green. This book follows Katherine Knight from her upbringing to the day she committed a chilling murder. John Price took a restraining order out on Knight and later that day he told his co-workers if he ever goes missing its because Knight killed him. The next day would prove to show that Price was right because Knight heinously murdered him. I enjoyed reading this true crime novel that keeps you on the edge of your seat. Deeply disturbing but worth it! This story follows the life of one of one of Australia's most despicable people. Katherine Knight was a horrific person whose jealousy took her to levels of rage that are seldom seen or heard about. That led her to a final act that is beyond horrifying. This book is a strange ride and not one that I typically go for but the way it was written and narrated draws you in. I will need to check out other things that Ryan Green has written. It's true. This reads like a thriller. Green's presentation of this horrifying case is captivating and Steve White's performance complements the telling. A fascinating story of a monstrous woman. This was a well written and well told story. I’ve read Ryan Green’s stuff before and this is his best work. If you want to delve into the mind of a psycho and rummage around a bit, this is a great place to start. The narrator has a smooth delivery and did a good job presenting the book. The story itself was fairly well written but the performance was phoned in and I found myself drifting away while listening. Man-Eater: The Terrifying True Story of Cannibal Killer Katherine Knight. Ryan Green is probably the best true crime writer around. This is another amazing tale, the author manages as he always does the horror of the crime and the damaged personality of the perpetrator. 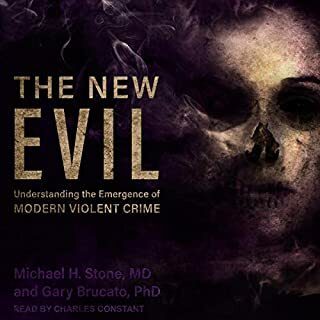 Steve White's narration is excellent and keeps your interest. 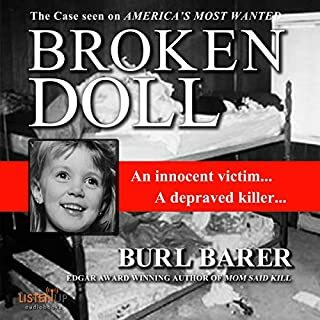 A great team Green & White..
"I was given this free review copy audiobook at my request and have voluntarily left this review." Really enjoyed this book! Another twisted and horrifying tale told by the master of true crime. I have listened to several of Ryan Green's works and this one is equally as well done as the others. This is about Katherine Knight but really it's about her and her mother. Whether you want to or not, you can't help but feel some sympathy for Katherine but not her mother. Due to the life path her mother chose Katherine was subjected to cruelty no one should have to endure. Her impressionable years were filled with cruelty, abuse (sexual, psychological, physical) and twisted morals. Unfortunately, these circumstances made Katherine into the woman she became. Someone who knew no boundaries, had no moral compass and was abusive herself towards others. This is fact mixed with conjecture but done in a way that is quite believable. You can imagine this family being or saying what is written. I appreciate Ryan Green's storytelling and making such terrible and horrifying events/people manageable to listen to. The narration is excellently done. Steve White has a nice voice. He managed to really pull the listener in by giving the various voices their own distinction and emotions. Overall, a truly horrifying and gripping tale of a twisted family in Australia. The only one that could accomplish this. If I didn’t know better I would have said what a great horror fiction but I do know and it’s no fiction. There is only one person who can get you into the mind of a psychopaths and make you so clearly understand what’s going on in there and how it was created in the first place. I believe that the author Ryan Green is an amazing in his capabilities after listening to his audiobooks is showing us that in the right conditions everyone can become a psychopath all you need is the right settings and abuse growing up, just like what the judge in this audiobook said that we all have it ( evil ) inside us but we don’t act on it which is all because our upbringing from the day we where born. It’s scary to think how many are out there taking medications till you here about something horrible on the news because one decided not to take his meds. Green truly is an artist and so much more! Once I started there was no taking breaks I was just hypnotized all the way to the ending. 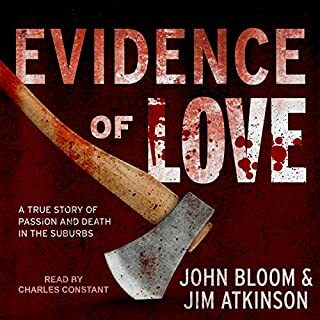 Excellent choice taking Steve White for narration of this audiobook, he got it perfectly! This story had to be written and only Green could have done it, put you in the head of others, get it and make it interesting at the same time. In exchange for an honest review I’ve received this audiobook. 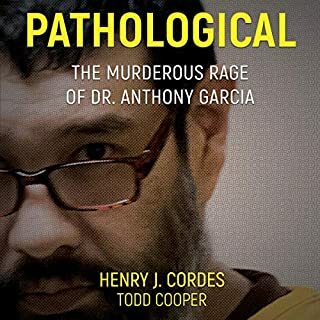 If you enjoy true crime you won't be disappointed with this book. I read the original book that this story was copied from. It's called bloodstain and was written by Australian journalist by the name of Peter Lalor in 2002. It is so much better than this rubbish. 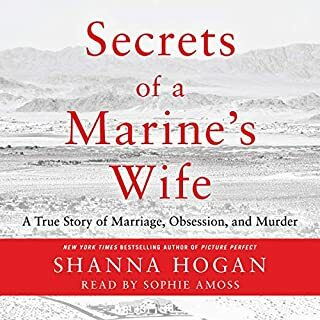 This book is read by Steve White who is an American and his horrible droning accent does nothing for this Country Australian story that really should have been read by an Australian female. The amount of words that he mispronounces is embarrassing. He ruined a great tale and I zoned out so often because it felt like I was listening to the American Top 40 by Casey Kasem. Don't waste your credits or money on this trash and go and find the original Australian book called Bloodstain by Peter Lalor. It has crime scene pictures and goes into more depth about the investigation.